Wheaton needs your driving expertise. You might see a lot of trucking jobs advertised, but the difference at Wheaton is that we’ll treat you as a respected member of the team. Wheaton has been in the business since 1945, and we’ll connect you with a professional agent network that spans the United States. Learn more about why you should drive for us, read up on our latest news and events, or submit your questions through the form below. You can also call Dwayne Donelson at 1-800-428-1165 for more information. Want to drive for a company that values transparency and honesty? 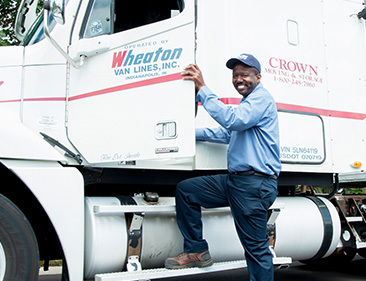 Come work for Wheaton as a driver or owner-operator, and get a sign-on bonus on day one. Wheaton offers one of the best compensation packages in the industry as well as linehaul advances with no service fees. You can also earn additional compensation for quality performance and a low claim rate. For more information about driving for Wheaton, fill out the form below, or contact Dwayne Donelson at 1-800-428-1165.